Don’t just dream of success; create a plan and act upon it! Shailendra Singh Indoliya is not just a name. He is the person whose journey to IPS has motivated thousands of Civil services aspirants and will surely continue to do so. Shailendra Singh Indoliya, IPS with an All India Rank 38, achieved his dream job with his preferred language or medium and with a clear goal in his mind to become an IPS officer. Shailendra hails from a rural background and his life was no less than a roller coaster ride. After completing his schooling from a Hindi medium school and college from IIT (BHU), a lot of eyebrows raised when Shailendra opted for UPSC with Hindi Language. But he didn’t back down on any terms and attempted Civil Services exam 3 times until he successfully cracked it in his 4th attempt. Every time he failed, he learnt something new and arose with wiser learning. Not that a doubt never crossed his mind, it did, but that doubt only motivated him to try harder and stay stick to his goal with the same medium of language. Shailendra, after cracking his 4th attempt with AIR 337 got selected for IRS custom & central excise, but he chose to go for another attempt as he still wanted to become an IPS officer. When asked what made him keep attempting for Civil services, he calmly replied, ‘These attempts were a lesson for me to understand that UPSC through these exams, not only tests our knowledge, but also our patience, our firm resolution, our dedication towards our goal, our perseverance and other personality traits. I knew that it is not going to be a easy terrain, and I was mentally prepared for it and kept fighting for my goal, Said Shailendra Singh Indoliya. With the successful 4th attempt, my confidence increased in leaps and bounds. Hence after IRS, I gave another attempt and achieved my dream with AIR 38’. Is Hindi actually a problem for candidates aspiring for UPSC Civil services? Shailendra Singh Indoliya: It wasn’t ever a question for me. I myself come from a rural background and did my B. Tech from IIT (BHU). Everyone used to ask me why didn’t I chose English medium, But I always had a specific answer to this question ‘I can express myself better in Hindi’, and I strongly suggest all the Civil Services aspirants to choose the medium in which they can express their views better and have better command on, rather than just following the trend or get trapped in unnecessary myths. Why is this Inferiority Myth prevailing for Hindi medium students? Shailendra Singh Indoliya: It is basically a myth. The only problem Hindi medium students come across is Study material. This is not even a problem anymore, thanks to Information and technology services. 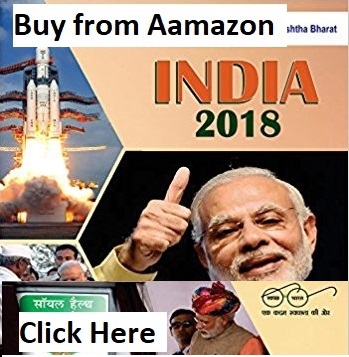 There is almost anything and everything available on the internet today; study material, syllabus, toppers tips, relevant videos, current affairs updates and a lot more. I would agree that the personality test better called Interview phase is a fear amongst Hindi medium students as the feeling of not being able to communicate effectively often crosses one’s mind. But with my personal experience I can say that confidence is the key. Let your language become your strength to express yourself. I didn’t face any problem while communicating my views and while answering all the questions in Hindi. So, it’s all in your mind, and therefore, confidence is the key. 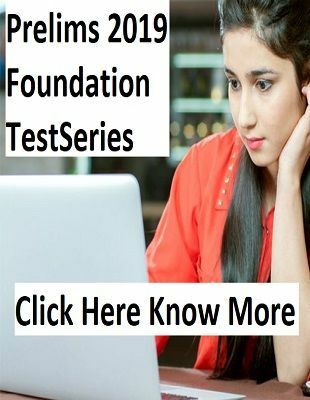 What was your first step for UPSC preparation? Shailendra Singh Indoliya: I started preparing for UPSC when I was in the final year of graduation. NCERT books helped me form a strong knowledge base. I kept my preparation in and around UPSC syllabus and previous year question papers further helped me get a fair idea on examination pattern and the questions. All these sources strengthened my basic preparation for UPSC civil services examination, and then I framed my preparation strategy with the guidance from toppers Interviews and of-course with the help of AK Mishra Sir. I did my preparation along with my job for the financial stability. I would say I gave my first attempt with full preparation and never considered my re-attempts for a trial basis as I was always very clear in mind about IPS. With successive attempts, syllabus more or less remained almost the same. Studying same thing again and again is pressurizing at times but in my case, 1st & 2nd attempt were very effective. In 2nd attempt, I had reached interview level but couldn’t get selected in the final merit list. I chose to try again, until I had achieved what I had aimed for. I would also like to mention here, that I re-attempted because UPSC gives us chances and we should make best out of it. If I have not been selected this time, I would have surely take my job as IRS seriously and give my best to the service. I strongly believe that getting something big in life is result of one’s dedication and hard work but it is also because God has been extremely kind to us. Respecting God’s benevolence, we must all take our jobs seriously and give our best in each sphere of our work life. What was your Sure-shot approach for exam – did you target both the Prelims and mains together or planned a separate schedule for both? Shailendra Singh Indoliya: First of all, I read the syllabus thoroughly to get an understanding on what UPSC actually demands from a candidate. Then NCERT helped me a lot, in forming a knowledge base for both Prelims and Mains exam. The preparation for Prelims and Mains should be integrated, and the focus on prelims should be shifted only 2 months prior to Preliminary exam. Although everyone has their own set of plans and strategy, but I would recommend students to study 6 days in a week, and keep Sunday only for revision. Do not try to cover the entire topic in 1 day or a week, rather study only as much as you can remember and revise. There is a basic difference between being a scholar or intelligent. 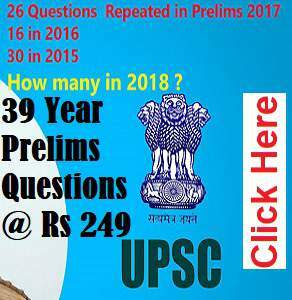 UPSC requires intelligent people who acquire apt knowledge and reproduce it in their service. How do you think a candidate can skilfully prepare for prelims? Shailendra Singh Indoliya: Apart from basic books, students must opt for a Test Series. It will help candidates assess their strengths and weaknesses. What holds back a candidate in prelims is the negative marking. Less practice leads to more wrong answers. So for prelims, one must try solving as many test series as they can to eliminate the scope of error. Same goes for mains. More the practice of answer writing, more are the chances to get score good in mains. Can you suggest a generic approach for Mains preparation, especially regarding GS? Shailendra Singh Indoliya: Study less but revise more. Generally candidates in order to cover more of the syllabus don’t focus on revision part. I prepared from a limited number of books and some basic study material. Because I knew that if the studied portion is not revised, I would keep forgetting everything. This way I was able to complete the syllabus with apt revision time for each subject. You gave your exam with Geography optional. How would you suggest choosing optional for students starting to prepare for UPSC Civil Services? And what should be their approach if they take Geography as optional? Shailendra Singh Indoliya: UPSC Civil Services Exam is not an easy nut to crack and students should not take any risk. While choosing an optional subject, students must be clear in my mind why they are choosing this subject as optional; what is the interest level? Is there any educational background with the subject? How much study material is available in the market? There should be definite answers to these questions in students’ mind while choosing an optional subject. Studying something you genuinely enjoy or like to know more about will help you prepare even better, ensuring a good score in the Mains. For Geography there are some basic books that must be studied without fail, like NCERT’s, Savinder Singh’s book, Majid Hussain’s Indian Geography book. Maps, diagrams and flowcharts are also basic requirements for geography to support the answer better. Use these well as more you use the diagrammatic representation in your answers, more you will increase the chances of scoring well. Students often get stuck between GS and optional as they are not able to do justice with time management for both. Please give your inputs. It totally depends on one’s attitude. Both GS and optional require balanced time management. Study material and related content is almost fixed for both. Focus should be on completing the syllabus for GS & Optional both. Individuals can plan their timing according to the need and understanding. Just remember to revise what you have studied. What do you think Interviewer looks for in a deserving candidate? Interviewer tests candidate’s persona on the standards set for the administrative positions. They look for administrative traits and if they can handle their duties effectively. Candidates must pay attention on detailed application form. I filled mine with utter sincerity and honesty. My interview was focused on hobbies that I filled in the form and I was able to respond well because my answers were honest and based on realistic experiences. Why IPS and not IAS? I believe that Police department is one service, which if done effectively, can ensure that the general public can enjoy their rights and freedom. For instance, if we talk about recent molestation cases, if law and order were in place at all levels and people had enough trust on Police; females’ fraternity of our society would have never left their house in state of constant fear. No matter how many educational policies you make, if the citizen of our country, either male or female has not sense of security or safety due to lack of effective law and order, it wouldn’t make any sense. Motto of peace, Service and justice can only be fulfilled by an effective police administration. Shailendra has his own plans to work for Society and in favor of one and all. His aim is to eliminate this gap between police and common citizen, and strongly believes that a common person should never feel hesitated while approaching police for any kind of help, as it is the sole purpose of a police officer. A learner will always excel in life and his experiences will always benefit the young ones. Shailendra is an epitome of inspiration and UPSC aspirants will surely learn a lot from his never say die attitude.